Although the numbers and statistics are all over the internet, we have compiled and organised the information accordingly (by procedure) in one place. The pricing information below is based on the published prices from major centres and pricing information available on the internet. *Based on average pricing provided by hospitals in both countries. General Anesthesia (GA) or Local Anesthesia (LA): If the liposuction procedure involves a large area or requires a substantial amount of fat removal, it has to be done under GA. For GA, another medical specialist, an anesthesiologist/anesthetist must be present and this translates to another professional cost for you. Therefore, the price for liposuction under GA will be higher than LA. OT (operation theatre) or Clinic: Some minor invasive procedures are done in the clinic but the air in the clinic is not sterile enough for an invasive procedure like liposuction. The risk of infection is higher in the clinic as compared with performing it in operation theatre. According to guidelines, liposuction needs to be done in either a medical centre or ambulatory care centre with well equipped operation theatre. Some doctors take the risk of doing it in the clinic so that the cost is lower. Area and amount: The bigger the area and the more number of areas to be treated, the higher will be the cost. The higher amount of fat to be removed, the higher will be the cost. 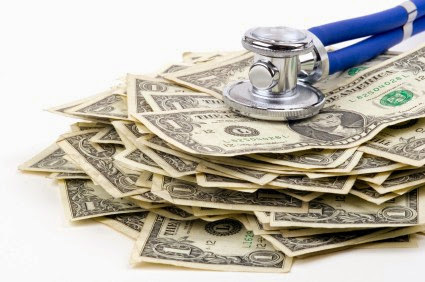 Hospital fee: Similar with hotel rooms, hospital room rates vary from hospital to hospital. Check out Private Hospital Room Rates Malaysia. Post surgical complication: In the event of a complication, you may need to prolong your hospital admission or to be admitted again and this will incur additional cost. For international customers, we do recommend that you cover yourself with a travel insurance that will cover you in the event of a post-surgical complication. Dermal Fillers work wonders on dark circles, filling up hollow spaces surrounding the eye as a result of ageing, lack of sleep, stress and other factors. The effects last about six to nine months and regular top-ups are necessary to maintain a youthful appearance. The average cost of hyaluronic acid injections is USD 568, according to 2013 statistics from the American Society of Plastic Surgeons. The cost for hyaluronic acid treatments may vary based on the expertise and qualifications of the person performing the treatment, the type of procedure used, time and effort the procedure or treatment requires, as well as geographic location of the office. The average fee referenced above does not include anesthesia, operating room facilities or other related expenses. To find a Clinic for Dermal Fillers in Kuala Lumpur, check out Dermal Filler Promotion Malaysia (Save 50% for a limited time). Botox helps to reduce wrinkled areas at the eyes, forehead and cheeks as a result of facial movement. The effects last approximately 6 months, depending on a person’s lifestyle and the skill of the medical aesthetic practitioner. Are you looking to save some money on your next Botox treatment? Special Botox Promotion > Enquire To Save (Save 50% for a limited time). This varies widely depending on the density & surface area to be covered, so you will need to be consulted in person to get an accurate assessment. Common areas being treated include upper lip, face, underarms, legs and back. The cost will vary from MYR 200 to MYR 2,000 per session. Please take note of the technology being used, as IPL method is normally cheaper than the laser method. 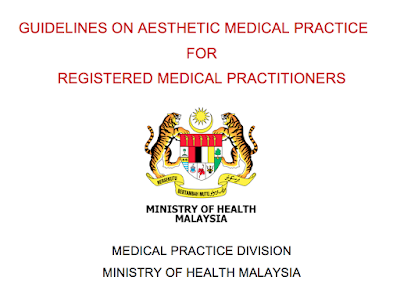 Note: Only qualified dermatologists or plastic surgeons are allowed to perform hair transplant in Malaysia (Ref: Aesthetics Practice Guidelines in Malaysia). Related: Harga Hair Transplant di Malaysia. These rates above are only a guideline and the actual costs may vary depending on where your procedure is done (hospitals have additional charges of up to 20-50%, while aesthetic centres in urban areas are more costly than suburban areas). While the most expensive surgeon is not necessarily "the best", there may be significant compelling reasons for a surgeon to charge the lowest fees in town. If "shopping" by phone for the "best deal" in plastic surgery, beware of "low-balling". Make sure you know what you are quoted; a surgeon’s fee vs. the TOTAL fee for the procedure. The total fee is higher since it would include the surgeon’s fee, the operating room cost, the anesthesia fee and any special charges (such as implants or laser fees) and also the necessary follow up visit/s. 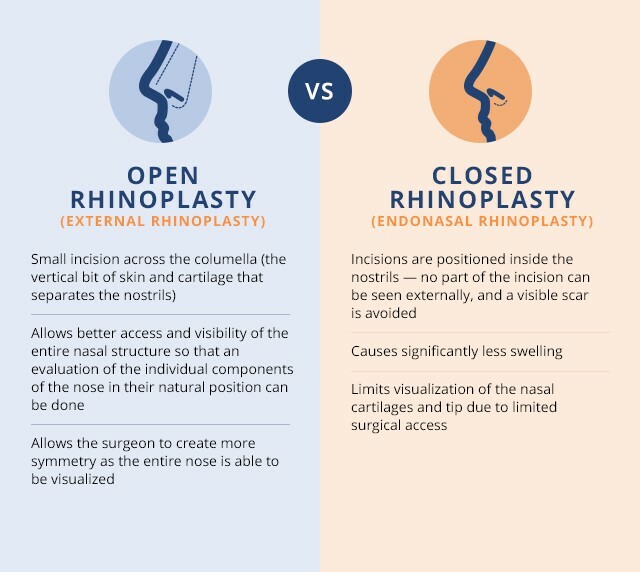 In general, the costs for each procedure are a general range for the surgeon's fee, the hospital / surgical center facility fee, and the fee for the anesthetist or anesthesiologist. Be aware that operations whose extent and duration is based on the size of the patient (such as liposuction) cannot realistically be quoted on the phone without an examination. Do call your plastic surgery clinics directly for the latest quote or if you are not sure which clinic to choose, please feel free to contact us (form below). To find aesthetic clinics in Malaysia, check out aesthetic clinic Malaysia. Filter and shortlist your clinics after going through relevant reviews. And one last warning, hotel rooms are not meant for cosmetic surgery procedures! If anyone were to convince you otherwise, please stay away from that person! Best Plastic Surgery in Malaysia. Need assistance or have any questions about cosmetic surgery procedures in Malaysia, we are ready to assist. 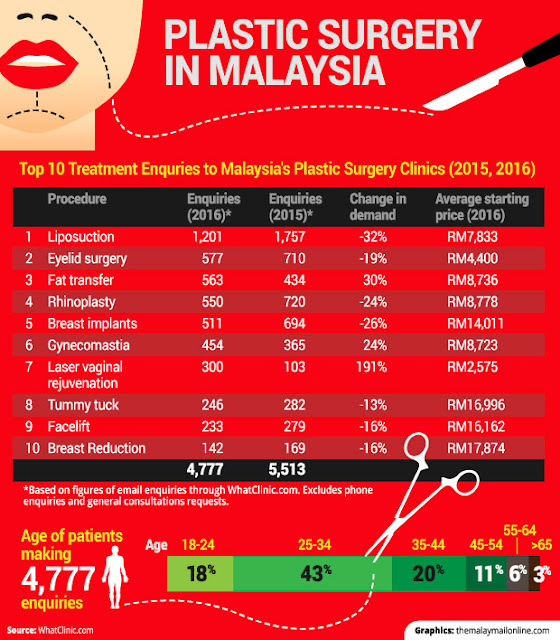 Contact us or join us at Plastic Surgery in Malaysia Facebook Group. If you are interested to get a FREE face to face consultation with a registered Plastic Surgeon, please fill out your details below. Your message will be sent over a secured network (https). And how much does it cost? ?